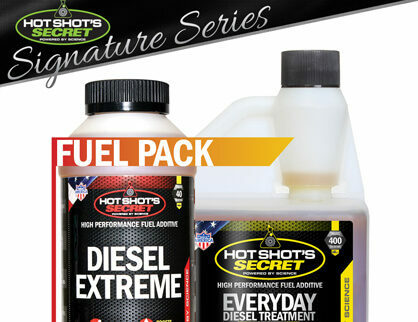 Step 1: Hot Shot’s Secret Diesel Extreme is the initial treatment for the entire fuel system. 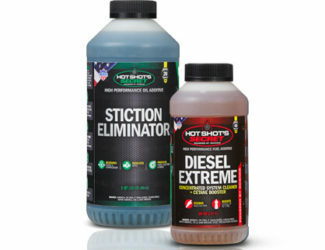 Step 2: EDT is a concentrated cetane boosting formula that increases the quality and burn of diesel fuel. I bought an old 7.3 with 220,000 miles. The truck ran good but not great. 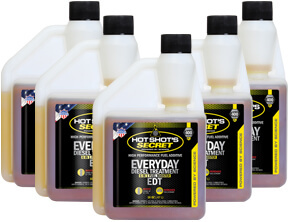 I’ve been running hot shots secret fuel additives and blue diamond oil and the truck runs so much better. I also gained 3mpg’s. I had noticed a drop in economy in my BMW 335d. I decided to give this a shot and my mpg’s Is headed back to where it should be. I also notice that the car is a little more responsive, which always a plus! I have a 2016 GMC Canyon Crew Cab with the 2.8L Duramax with about 55,000 miles. The mileage has always been good at about 25 – 26 MPG driving around in LA traffic. 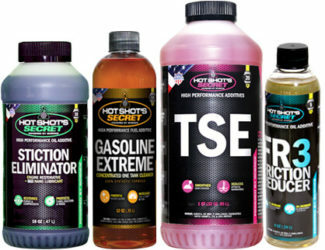 But, since I started using Hot Shot’s Secret products the mileage has increased to 27 MPG or more. The throttle response is better and it runs much better than I thought it could. I drive 500 – 600 miles a week, and the extra mileage allows me to only fill-up once a week and not have to fit in a fill-up during my daily commute.